4 Ways to Lower Your Monthly Mortgage Payment | Take my money! Are you being overwhelmed by your home mortgage bill? Want to lower the monthly payments? Here are a few ways you can do that. Should you refinance? The answer depends on the age of your loan and the difference between your current and potential new interest rate. Home loans amortize, which means you pay mostly interest towards the beginning of the loan term and mostly principal towards the end of the term. As a result, interest rate is most important towards the start of a term. The interest rate makes less of an impact towards the end of the term, when your payments are predominantly principal. Translation: the newer the mortgage, the stronger the argument that you should consider refinancing. But refinancing turns the amortization clock back to square one, and also gobbles a few thousand in closing costs, so a small difference between your old and new interest rates -- say, 0.25 percent -- might not be justified. Run a spreadsheet to see if refinancing is right for you if the interest rate spread is 0.5 -- 1 percent or higher. Are you paying private mortgage insurance, or PMI? If you bought your home with a down payment that's less than 20 percent, you might be paying PMI, which is adding hundreds or thousands to your mortgage each year. There's good news, though: you won't be stuck paying PMI forever. First, repay enough of the mortgage that you've gained 20 percent equity in the house. (You can also gain equity faster if your home value rises -- but, of course, you have no control over that). Then contact your lender to inquire about the process of dropping your PMI. Lenders won't drop the PMI automatically -- you'll have to request it. Many lenders will send an appraiser to determine the home value before the lender verifies that you own a 20 percent equity stake. Suffering under the hefty monthly payments that come with 15-year or 20-year mortgages? Extend your mortgage into a conventional 30-year term in order to cut your monthly payment. The bad news: your interest rate will rise. The good news: you can still choose to make additional payments on the mortgage, as if you were paying a 15-to-20-year loan. These extra payments will help you satisfy the loan more quickly, without obligating you to make massive payments if, say, there's an emergency that leaves you cash-shy for a month or two. Here's an uncommon way to lower your monthly home payment: fight the tax assessment. A conventional mortgage payment consists of your principal payment, your interest payment, and your "impounds," which is a monthly payment that the lender puts towards your property taxes and homeowners insurance. If you default on your property tax bill, the county can put a lien on your house. The governments lien will take priority over the lenders lien. 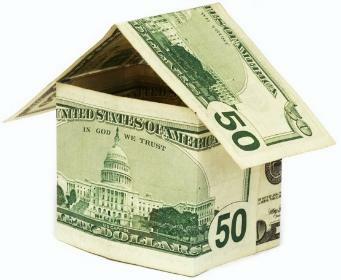 As a result, the lender collects your property taxes each month in order to protect its interest in your home. This payment sits in escrow until the yearly property tax bill is due. Property tax is based on the county's tax assessment of how much your home and land is worth. Many of these assessments are too high, especially in the wake of the housing crash, which diminished home values. Sometimes assessments are also too high if the area has been re-zoned, the new zoning has caused home prices to decline, and the declined prices aren't reflected in the assessment. Homeowners can protest the assessment by filing a protest with the county or requesting a hearing with the state Board of Equalization. If the protest is approved, the homeowner's taxes drop, which means that their monthly mortgage payment also drops.